I just had my “where were you when” moment. I was driving the short mile between my last business meeting of the week and the first microbrewery of the weekend when I turned on NPR and heard Roger Ebert being spoken about in the past tense. It was only this week that he announced would be taking a “leave of presence,” implying he was ready to keep writing. I’m sorry he didn’t live long enough to do what he said he had always wanted to do: review only the movies he wanted to see. I have been writing about movies since the late 1990s. You could say I wanted to have Roger Ebert’s job. When I realized that job was well and truly taken, I started writing for my own outlet, Movie Habit. Ebert’s job was never in any danger from me. 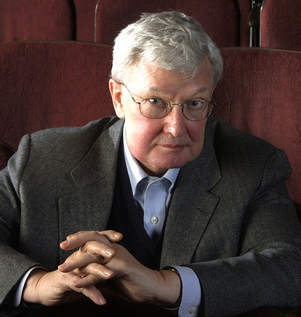 For me, what Ebert did, was to popularize film criticism. There were film critics in my local newspapers, but it wasn’t until At The Movies came on the air that my brother and I started taking movie reviews seriously. By bring film criticism to a 30-minute TV show, and talking about the movies — not celebrities, not gossip, but the substance of movies — Roger Ebert taught me that movies can be important, if you only approach them the right way. He knew his film history. He took his job seriously. Yet he was approachable. He wrote for the common man. He didn’t make you feel dumb, yet he didn’t dumb it down. I am ambivalant about Ebert’s effect on film criticism — but only selfishly. Obviously, he was a huge figure in bringing film appreciation to Americans. A generation grew up better informed about movies because of him. At the same time, he was such a major figure that almost nobody else could add their voice to the conversation. My local paper lost its last film critic in the 1990s, and they replaced her with Roger Ebert. Ebert may have inspired the next generation of us little-guy film critics, but at the same time, he was so dominant he left us with nowhere to be heard. Then again, almost none of us were as good as Roger Ebert. I had only a few interactions with the man himself, always in relation to his frequent visits to Boulder. A quick conversation here, an e-mail exchange there. I don’t think he knew who I was. But it was impossible to be a movie-lover from my generation and not know who he was. He helped me learn how to deal with appreciating the subjective — and here, feel free to extrapolate beyond just movies to anything people have opinions about — wine, food, music, art. You can like parts of a movie (wine, art, etc.) and still dislike the whole. You can love something and fail to convince someone else that you are right. You can see the same movie as someone else and completely disagree. In fact, two smart people can agree on all the details, yet disagree about the conclusion of whether those qualities added up to a thumbs up or a thumbs down. I love that Ebert lived to be 70 without ever running out of material. Appreciation can’t be boiled down to a formula or an algorithm. It demands your constant participation and attention. Roger Ebert never stopped. Here are five movies I saw on Roger’s recommendation that I loved.